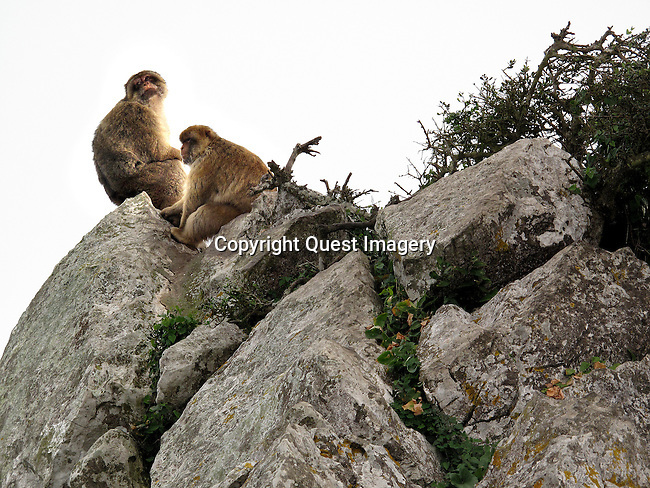 Monkeys on the Upper Rock of the Rock of Gibraltar. The monkeys (Barbary Macaques) population in Gibraltar is the only one in the whole of the European continent, and, unlike that of North Africa, it is thriving. At present there are some 300 animals in five troupes occupying the area of the Upper Rock, though occasional forays into the town may result in damage to personal property.